One of the images that lingers from Darren Aronofsky’s Noah is that of a huge rock protruding from the sea, with hundreds of screaming people climbing desperately to its top, being swept off like toys by mighty waves. In the background we see the massive wooden ark, peaceful and secure amidst the deadly raging sea. Inside, Noah (Russell Crowe) and his family are safe, but they can hear the screams of the dying outside. Among other things, this horrific scene underscores the darkness of the Noah story. Though many children reared in Sunday School remember Noah’s ark through a cheerfully colourful flannelgraph lens, the tale is actually quite sobering. Aronfosky (Requiem for a Dream, Black Swan) — not exactly a flannelgraph sort of filmmaker — does the story justice by confronting its disturbing darkness head-on. Co-writer Ari Handel echoed Aronofsky and said that these questions were a starting point in their exploration of the Noah story: Who deserves to be saved? Who gets to be on the boat? As I reflect on that peaceful ark in the midst of the wails of death, I’m reminded of other biblical instances of God’s simultaneous mercy and justice. It makes me think of Moses parting the Red Sea for the Egypt-fleeing Israelites, followed by the waters crashing in on the pursuing Egyptian army. Again: horrific watery demise for many; safety for God’s chosen people. Or God’s people in Egypt during the Passover: safe inside the walls whose doorways were marked with a lamb’s blood, while outside the mothers wail over slaughtered first-borns. These are dark, wrathful tales, but also tales of grace, mercy and hope. Likewise, the story of Noah is harrowing but beautiful, and Aronofsky captures this well. Noah’s filmmakers must fill in the gaps to fill out a coherent cinematic story, speculating as to things we don’t know about. What was the mindset of Noah (who, apart from Gen. 9:25-27, never actually speaks in the biblical narrative) during this crazy episode in his life? What did his family think? What were the interactions between Noah and the wicked population doomed for destruction? Did Noah have a relationship with his grandfather Methuselah (Anthony Hopkins)? The film explores all of this in the spirit of midrashic interpretation, and takes the story far beyond the source material. Some of it works and some of it doesn’t, but (as far as I can tell) none of it directly contradicts anything in the biblical account. Most importantly I believe the film — which ends up being an epic somewhere between Tolkien’s The Two Towers and Shakespeare’s Hamlet — retains the theological themes of the Noah story, powerfully bringing to life a “second Eden” tale that highlights both the justice and mercy of the Creator, a God of grace and second chances. One strength of Aronofsky’s telling of the Noah story, and Russell Crowe’s performing of it, is the complexity given to Noah’s character. Consistent with his frequent interest in characters plagued by obsession and/or mind games (see Pi, The Fountain, Black Swan), Aronofsky depicts Noah as a conflicted man faithfully endeavoring to do what he believes he is called to do, however traumatizing it may be for him and those closest to him. Crowe delivers one of his better performances as a man trying to listen for God’s direction, even if he at times misinterprets what God is doing. Aronofsky’s film does a good job of showing the contrast between humble faith (Noah) and prideful merit (the “glory to man” exploits of the film’s villain, Tubal-cain) as ways of relating to God. Indeed, it’s a battle in the heart of man going back to the Garden of Eden. Aronofsky’s Noah makes frequent and clear connections back to Eden. Set in a world that still has memories (and relics, apparently) of the Garden, this is a story about second chances. By God’s mercy, mankind (via Noah) is given a mulligan — the opportunity to succeed where Adam failed, to fulfill the Gen. 1:28 mandate to steward creation and spread goodness (“be fruitful and multiply”). The ark is like a floating Eden, full of life in all its variety, living in peace and harmony, promising newness, order and flourishing out of chaos. Though also like Eden, the ark is not without the presence of temptation. Aronofsky hammers this home not only by including a retelling (by Noah himself) of the creation account and the fall of man, but also by including (perhaps questionably) a “tempter” character inside the Edenic walls of the ark. The film and the story point backwards to Eden but also forward to what God would do in Israel and then in Christ. There is continuity between Eden and the ark — as “temples” of sorts, remnant places set apart by God — and the future dwelling places of the Spirit of God in Israel’s tabernacle, “ark of the covenant,” temple, Christ and ultimately every believer. Aronofsky’s film also foreshadows Abraham in a way that, however clumsily, reinforces the big themes of a just and merciful God. Some have complained that Noah is mostly environmentalist propaganda, to which I say: not propaganda, but environmentalist? Absolutely. The Noah story is one of the clearest calls in Scripture to environmental stewardship. In this fantastic sermon on Noah, Tim Keller notes that the Noahic covenant calls us into three great relationships: with the earth, with all the people of the earth, and with the Lord of the earth. God is in covenant with the whole earth (Gen. 9:13), committed to renewing nature as well as man. Resurrection for all. The creation God has made has an important role to play, after all: it declares His glory. 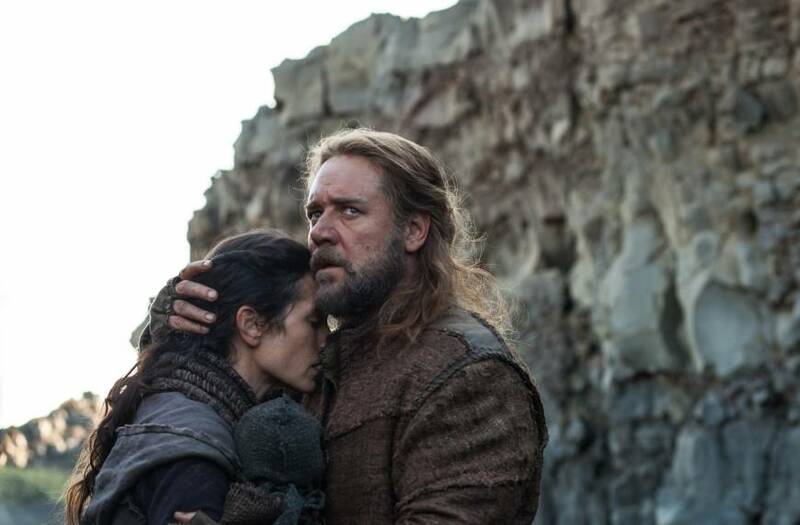 Is Aronofsky’s Noah perfect? No. On a filmmaking level it sometimes seems confused about tone and genre. On a storytelling level it occasionally feels needlessly provocative in its attempts to defy audience expectations. But Noah gets the theological heart of the story right. It shows that God’s wrath is entirely justified and his grace all the more graceful because of it. It beautifully depicts the struggles of faith and the mercy and justice of God. It’s a film that does what too few films do anymore: it raises profound questions and demands a discussion. As such it will invite plenty of debate, especially within the ranks of the religiously devout (as it already has). But I also believe, and hope, that Noah will pique the interest of the irreligious and get them thinking and talking about God too. This is a film by a respected director with the guts to take on a beloved religious text and approach it with reverence, sincerity and creativity. Aronofsky may not himself be a believer, but his film respects belief and engages with it without hostility or condescension. I hope believers will engage Aronofsky’s film in the same way. Noah will be in theatres this Friday. is a a senior editor for The Gospel Coalition and author of Hipster Christianity. Gray Matters, and Uncomfortable. He writes regularly for TGC, Christianity Today and his website, BrettMcCracken.com. He lives with his wife in Southern California where he serves as an elder at Southlands Church.